From a gentle ache to intense discomfort, back and leg pain are debilitating to the normal way of life – from limiting movement to avoid pain to no longer being able to take part in activities you enjoy, your quality of life is impacted negatively. 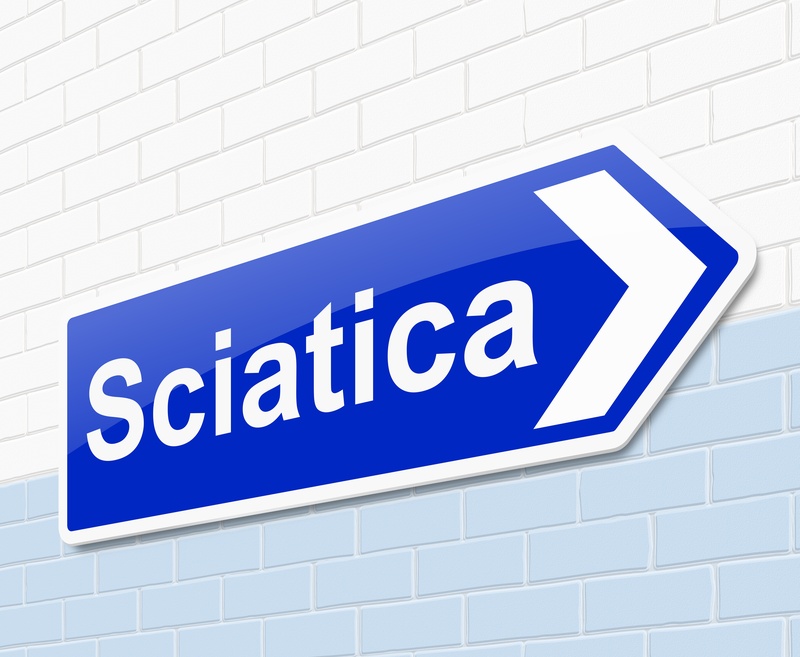 A buzz word in the world of muscle pain, specifically within the back area, is Sciatica. This condition is not limited to the elderly or the sporty ones. Sciatica has been known to affect people from all walks of life and at different stages in their adulthood. Unfortunately, the condition of Sciatica can be easily misdiagnosed as the very nature of the structure of the Sciatic nerve means that pain can present anywhere from the region of the buttock to the foot. The sciatic nerve is the longest in the body and traverses the lower back, buttocks, hamstrings and lower leg. Sciatica’s pain is felt along this nerve, ranging from a dull throbbing ache to intense shooting pains & burning in the afflicted area. Sharp pains that make it uncomfortable to try stand up. Back injuries, whether mild or severe, are not to be underestimated as your way of life may be significantly changed by pain and discomfort. While there are many possible causes of Sciatica, we’re going to focus on four of these for the purpose of understanding more about the condition. In the human spine, discs exist between the individual vertebrae. When one of these discs bulges orbecome may be pressure put on the nerve root which can cause pain to radiate along the sciatic nerve. Mostly experienced in adults aged 50 years and upwards, spinal stenosis refers to the gradual narrowing of the spinal canal resulting smaller spaces between the vertebrae and compressed or pinched nerves as a result. As with the herniated disc described above, this nerve pain is then transferred all the way along the sciatic nerve. With an increase in age, the spinal column undergoes changes as well and these include the softening of the spinal discs which over time results in differing levels of pain as the sciatic nerve is affected by the compromised disc structure. The Piriformis is a muscle located in the buttock region – the Piriformis syndrome refers to the pain experienced when this muscle is inflamed or irritated. As the sciatic nerve runs through the buttocks, Sciatica is often a by-product of the syndrome as the nerve is affected and patients experience tingling, pain and numbness. As with most interventions for physical ailments, there are two schools of thought on the treatment of Sciatica – these being surgical and non-surgical in nature. As Sciatica can be caused by several factors, there are two main types of surgery (the type dependant on the causes of the condition in the individual) that patients may have to consider. Surgery is most often required when patients experience severe debilitating pain, and non-responsiveness to other therapies. These two types of surgery are a Microdiscectomy or a Lumbar Laminectomy and would be recommended by a specialist after a full investigation. In the effort to avoid the need for surgical therapy in dealing with Sciatica, at Synergy Physio we encourage early intervention and a team approach of non-invasive therapies. Patients who continue to struggle with pain and discomfort after sustained gentle exercise, hot and cold muscle treatments and over the counter non-steroidal anti-inflammatory’s have found relief and successful sciatica treatment with our specialised team. Through a combination of sports massage, joint mobilisation, acupuncture, and exercise based rehabilitation we have seen lives turned around and Sciatica effectively treated. In order to avoid long term, re-occurring pain and discomfort we strongly encourage those experiencing back pain to investigate and take action. Another possibility we would like to help you avoid is permanent sciatic symptoms resulting from non-treated nerve compression. By being pro-active and aware, you can avoid this unpleasant and painful scenario. Our Physiotherapists at Synergy specialise in effectively treating back pain. We offer a combination of sports massage, acupuncture and joint mobilisation techniques as well as guided exercise. Our goal is to facilitate our clients’ well-being and return of pain-free muscle movement and increased strength. We understand that life is busy and time is valuable, by offering a free online Sciatica Pain Consultation we give our clients the benefit of chatting directly to one of our experienced physio therapists before making the decision to book a treatment. The consultation, which is completely free, assists our team in ascertaining the type of pain you’re experiencing, how your life is being impacted by this discomfort and the potential way forward to assist you in making a full recovery. Click here to book a free sciatica pain consultation.